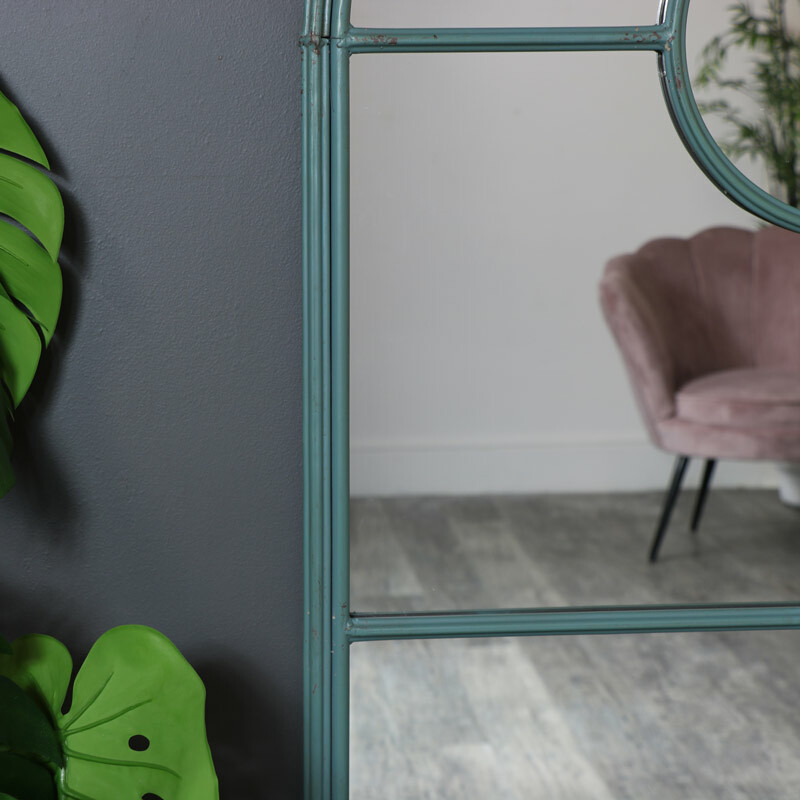 Make a statement in your living room or hallway with this stunning arched wall mirror. This will also make a great garden feature. Decorative window style with circle and square design that makes this mirror stand out. 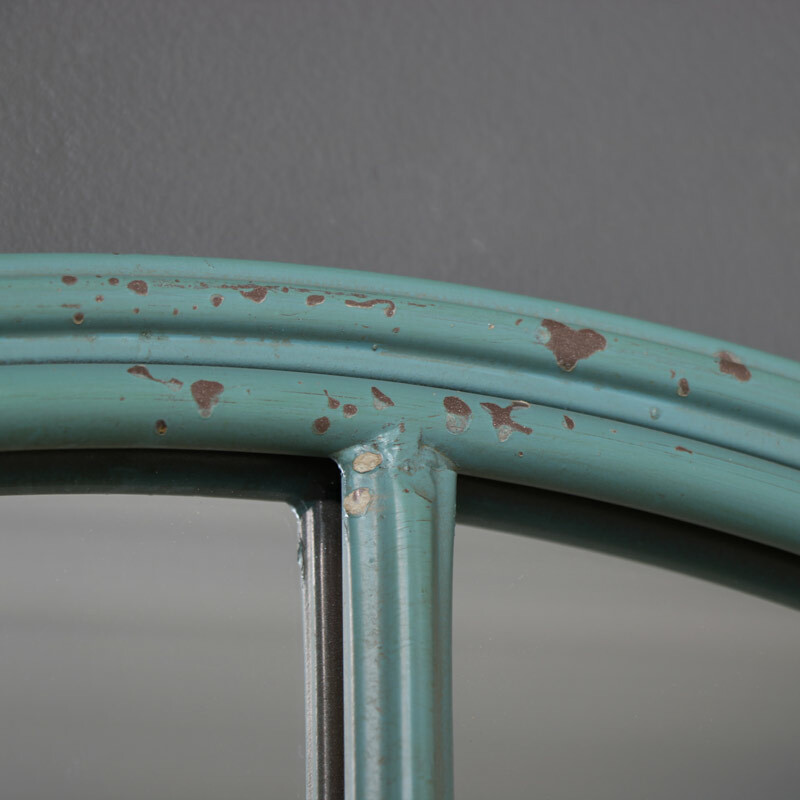 Painted in a rustic, distressed duck egg blue with hints of green that helps to add a hint of the shabby chic look. Beautiful charming style that will make a great addition to any home decor. 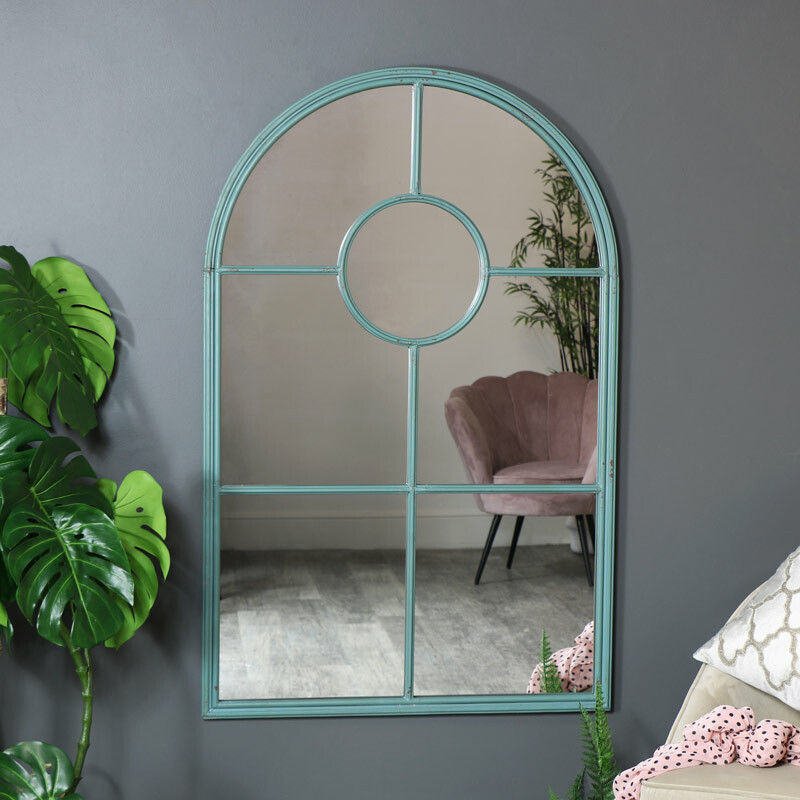 Make a statement in your living room or hallway with this stunning arched wall mirror. This will also make a great garden feature. Decorative window style with circle and square design that makes this mirror stand out. Painted in a rustic, distressed duck egg blue with hints of green that helps to add a hint of the shabby chic look. Beautiful charming style that will make a great addition to any home decor.